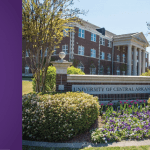 CONWAY, April 5— The Conductor, a public-private partnership between the University of Central Arkansas and Startup Junkie, today announced that it has been awarded the Small Business Administration’s Regional Innovation Cluster contract. The funding will enable the Conductor to bolster its offerings in the collaborative central Arkansas cluster and expand its footprint to reach underserved areas of the state, which house 19 Opportunity Zones and are rural regions as defined by the U.S. Census Bureau. The Conductor is one of seven Clusters nationwide to be awarded the competitive funding. Each of the Clusters are public-private partnerships driving innovation and job creation in the nation’s most promising regional hubs. The Conductor, based in the City of Conway, is centrally located among 10 rural counties in the region. 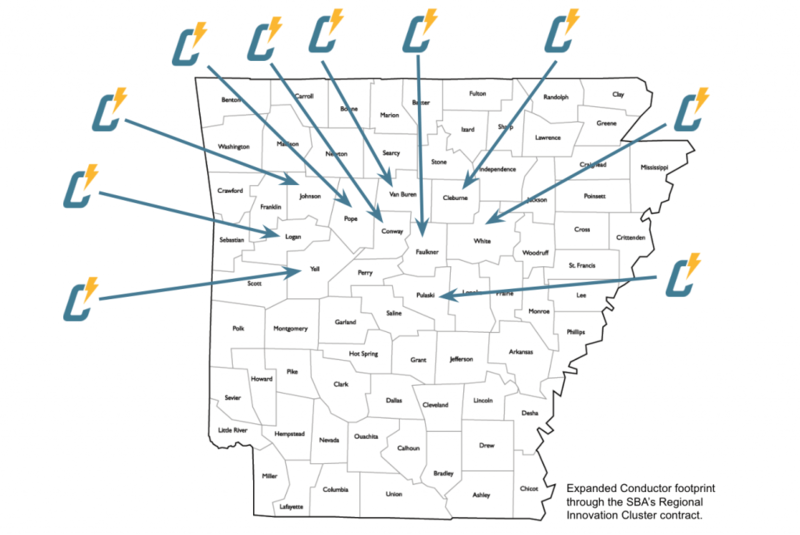 The Regional Innovation Cluster contract will enable the Conductor to continue serving as an epicenter for entrepreneurs, as well as provide services to entrepreneurs in the surrounding counties of Cleburne, Conway, Faulkner, Johnson, Logan, Pope, Pulaski, Van Buren, White and Yell. “I’m proud to support organizations like the Conductor that provide mentorship for business owners and innovators in rural Arkansas. Their work is vital to the success of cultivating ‘homegrown’ small businesses. As a recipient of the SBA’s Regional Innovation Cluster Services contract, the Conductor will be able to expand its entrepreneurial outreach and empower more Arkansans to dream big. Together, we can continue to make central Arkansas an economic epicenter,” said U.S. Congressman French Hill. 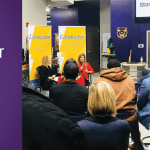 In less than three years since its launch, the Conductor has served nearly 9,000 people through its free programming, events, one-on-one business consulting, and trainings in UCA’s Makerspace, powered by the Conductor. 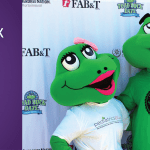 The Makerspace offers prototyping services, 3D-printer trainings, CAD classes, youth events and more, all of which are free-of-charge for students at the University of Central Arkansas and the community. With plans to increase the scope and magnitude of its services, the Conductor has also announced plans to grow its team in Conway. 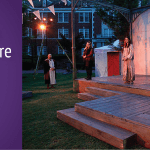 In addition to a Rural Program Officer, the Conductor will be adding a Director of Operations, Marketing/Outreach Manager and an Educator to the team, as well as part-time student workers from the University of Central Arkansas. “Public-private partnerships help spur growth and leverage resources in an incredibly efficient way, and it’s no surprise that the Conductor has been selected for this award given its successful approach in helping foster innovation and economic development in Central Arkansas. I’m excited to track its progress as it utilizes this grant to further assist entrepreneurs in the region and especially those in rural areas where the opportunity for success sometimes hinges on access to the types of resources and support the Conductor is poised to provide,” Senator John Boozman said. The Conductor, a public-private partnership with the University of Central Arkansas and Startup Junkie, drives innovation, entrepreneurship and economic empowerment in central Arkansas through high-impact programming, one-on-one consulting, commercialization support, talent development, collaboration, and maker training and rapid prototyping in UCA’s Makerspace, powered by the Conductor, which is free-of-charge to students and the community.